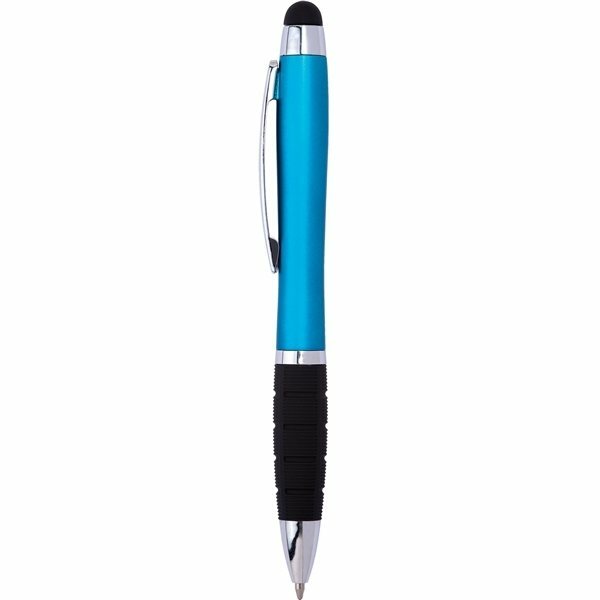 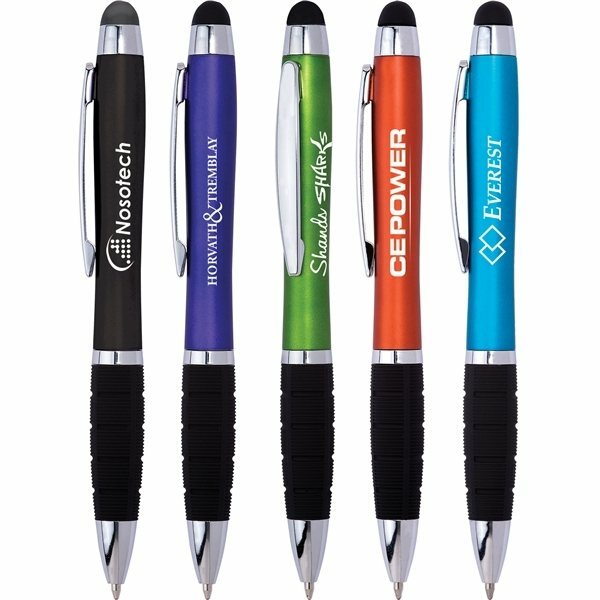 Engraved logo is illuminated with a scintillating spectrum of color with a press of the stylus. 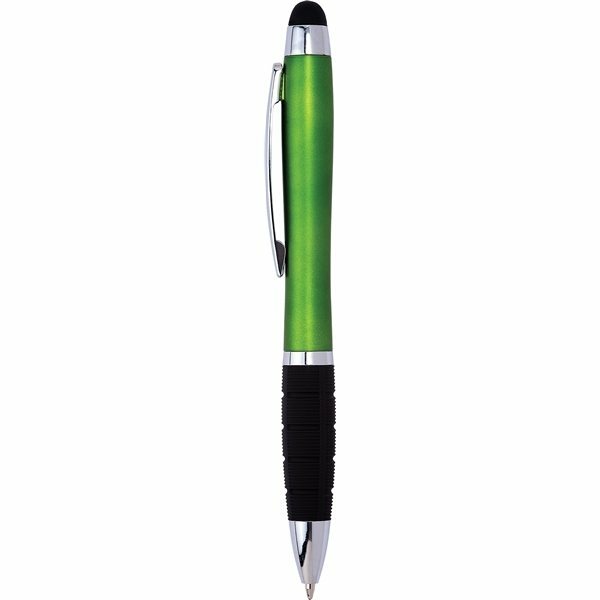 Shimmering barrels in vibrant brights make the imprint pop whether lit or not. 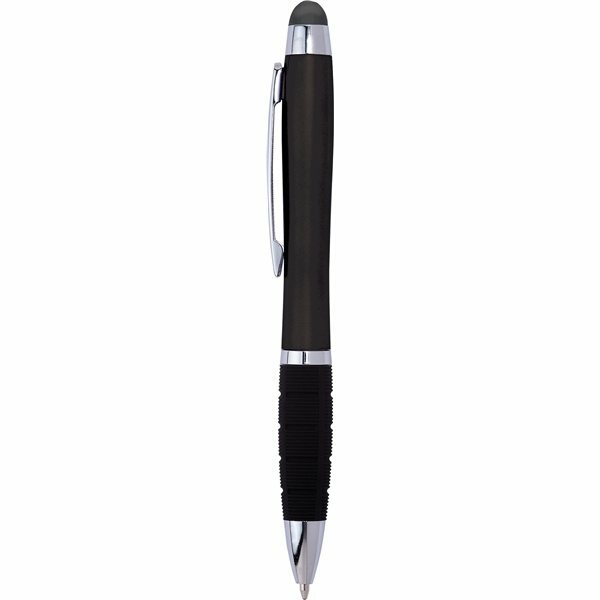 Black pen has gray stylus.